Dr. Li invited as the chairman for the orthopaedic knee session of the 2019 Work Related Workshop in Waltham MA. His talk on “Knee Injections. Where, What, When, and How Much?” was very well received by the audience. He also presented a challenging work related case for the panel. 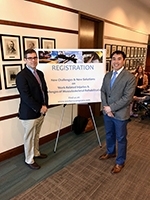 Dr. Li invited to give grand rounds at the University of Rochester department of Orthopaedic Surgery. His talk is on “Anterior Shoulder Instability. What I Have Learned in My First Five Years of Practice”. A dinner with the sports medicine and shoulder surgery division members was held the night before. 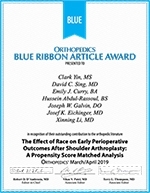 Dr. Li was awarded the “Blue Ribbon Research Article Award” from the Orthopedics Journal on his research article “The Effect of Race on Early Perioperative Outcomes after Shoulder Arthroplasty: A Propensity Score Match Analysis”. This award is given annually to the best research articles in the journal. Only the top 25 articles are selected from the over 500 articles published in the printed journal and also the online version of the journal. Dr. Li has been invited by the JAAOS to be faculty on the Live Webinar on Scapular Notching after Reverse Shoulder Arthroplasty. He will be lecturing on the incidence, etiology, anatomic factors, and clinical outcomes related to notching after reverse shoulder. 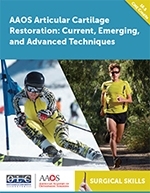 Dr. Li has been invited as one of five Orthopaedic Sports Medicine and Shoulder surgeons in the United States to participate on the American Board of Orthopaedic Surgery (ABOS) Blueprint Committee to redesign the Orthopaedic Sports Medicine Subspecialty Certification Examination and the Sports Medicine Recertification examination for AOSSM, AAOS, and ABOS. The meeting will take place in Philadelphia at the ABOS headquarters. 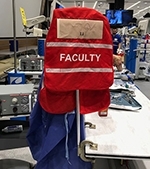 This premier skills course provides training for simple and complex primary and revision procedures, and features ample hands-on lab time with marquis faculty, industry-sponsored sessions, interactive discussions, panel debates, and expert demonstrations. 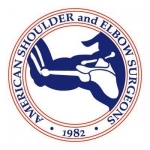 The American Shoulder and Elbow Surgeons (ASES) is a prestigious society made up of leading national and international Orthopaedic surgeons who are experts and specialize in the surgery of the shoulder and elbow. Dr. Li awarded the 2018 Robert E. Leach, M.D. Resident Teaching Award. The Robert E. Leach, M.D. Resident Teacher of the Year Award is given annually to one faculty member at the Boston University Orthopaedic residency for their outstanding teaching skills and also for their dedication and mentorship to the BU orthopaedic surgery residents. Dr. Li was given this award by the 2018 graduating BU orthopaedic Chief residents. Dr. Li has been invited by the Maine Orthopaedic Review Course to serve as a faculty member and as a mock ABOS part 2 oral board examiner for the graduating orthopedic surgery residents. The Maine Orthopaedic Review course is the oldest orthopaedic board preparation course in the United States. They have been providing the graduating residents with outstanding board review material since 1959. Course faculty members are national experts in their respective subspecialty fields.